Canterbury has a good concentration of fascinating culture and heritage attractions. History, culture, New Zealand life, art and science, are all celebrated throughout Museums in Christchurch. Interactive displays will captivate the whole family. The Canterbury Museum, showcases Canterbury's natural and human heritage, specialising in Maori and European settlement. 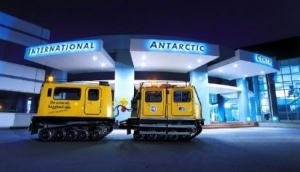 The city also has a great Antarctic exploration centre, one of the city's most popular attractions. Waimate and Timaru, in the south, have fantastic local history and European art museums, respectively, and are well worth a look. Timaru also has one of the South Island's most important natural history museum. Ashburton has a great transport museum, as does Pleasant Point, where you can ride on a real steam engine. Despite Canterbury being one of New Zealand's most European areas, you can still get plenty of Maori Culture in Christchurch and the surrounding region. Out of the city, you'll find a few authentic Maori experiences, and gain an education.